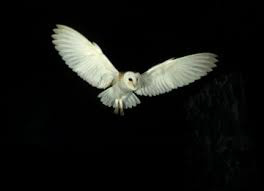 The Owl of Minerva, the goddess of wisdom, does not take wing until night has fallen. Understanding comes only after the event: it is this that makes life a constant journey of discovery. Have you a problem or challenge that seems hard to manage on your own? You may be feeling anxious, depressed or stressed, you might be grieving or having trouble in a relationship and feel it would help to talk to somebody who is neutral and not part of the problem. Or, are you dissatisfied or unhappy for no apparent reason? Do you want more depth and richness in your life? The most common issues are often pointers to a deeper longing that comes from an inability to acknowledge and live from your own truth. Whatever the reason, many people can benefit from exploring such questions within a confidential relationship with a professional counsellor/psychotherapist. Counselling deals with current issues such as relationship conflict or breakdown, bereavement or stress. Psychotherapy digs deeper to address the earlier roots of long-term difficulties such as poor self-esteem, depression, problems forming relationships, etc. However the two terms are used interchangeably and a client's process may fit one or both descriptions: there is no need to choose, especially as current issues often have long-term origins. Counselling/psychotherapy is a process of growth and learning. It is a chance to discover and explore your real needs, motivations, hopes and desires: to reorient your life towards greater fulfilment and well-being. This can be as much about changing your perspective as your behaviour, coping ability or circumstances. The pace and depth of the work are set by the client while the therapist's job is to hold and facilitate the process. The aim is to help you change, deepen or accept yourself. Therapy is not about changing other people.